The release is timely in that it fills a gap for customers and users of the now-defunct Google Earth Enterprise, with full KML support as well as other file formats. Chris Andrews, Esri product manager for ArcGIS Earth, spoke at Esri UC about ArcGIS Earth, a lightweight immersive experience that can use your data coming from ArcGIS Server in a Pictometry file offering full KML support. 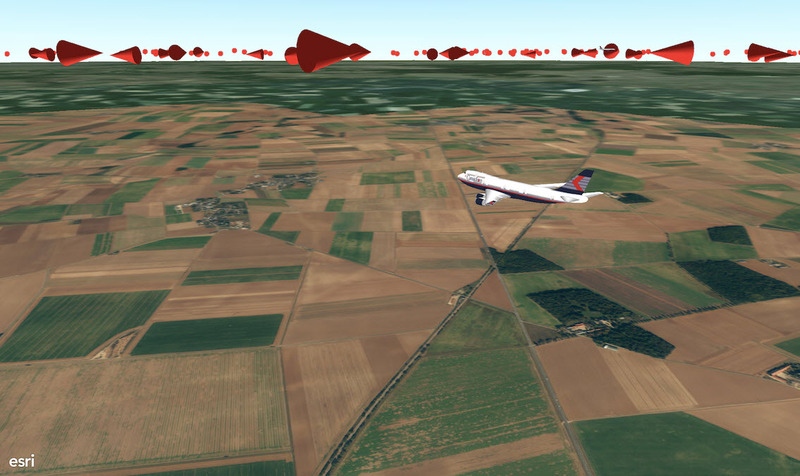 It is similar to the Google Earth Visualization tool in user experience. The KML file depicted in the demo showed job density in downtown San Francisco, and can show rent control housing in a neighborhood. There is the capability to drag and drop KML files and use ArcGIS Web maps and services. This was a tool that garnered great applause from the audience. Anyone in an organization who needs to look at a map can use it. For those users, the 3D Scene Viewer allows anyone with a web browser to easily view, create, and share location information in 3D. Imagery is increasingly becoming a central part of Esri’s focus. More and more customers in various industries are using 3D to visualize and understand spatial data, plans and conditions, and communicate ideas in the context of real-world imagery and data. Advanced analytics can now be done on a single image. There are over 100 integrated analysis, and image processing tools in ArcGIS. Workflow templates allow you to make image processing simple. There is also additional sensor support for drones. ArcGIS Earth allows users to examine interrelationships of assets in 3D, report project status, and present work to stakeholders or clients in a compelling and interactive experience. The globe is designed to provide a high-performance globe viewer with an immersive user interface. According to company materials, ArcGIS Earth users can explore open standard KML and KMZ data, shapefiles, imagery, and web services; tilt and rotate the view; measure distances and areas on the globe; and supplement maps with sketches and annotations. ArcGIS Earth includes free content that encompasses global imagery, topographic maps, world ocean maps, OpenStreetMap, and publicly available maps shared by millions of ArcGIS users around the world. Additionally, ArcGIS Earth is fully integrated with the ArcGIS platform—on-premises and in the cloud—for the secure access, sharing, and publishing of enterprise maps and data, and continued operations with minimal interruption. Users with an ArcGIS account can access secured data in ArcGIS Online or ArcGIS for Server including feature, scene, map, and image services. For those looking to transition to Esri software following the deprecation of Google Earth Enterprise, ArcGIS Earth is also part of Esri’s offer to Google customers and partners. 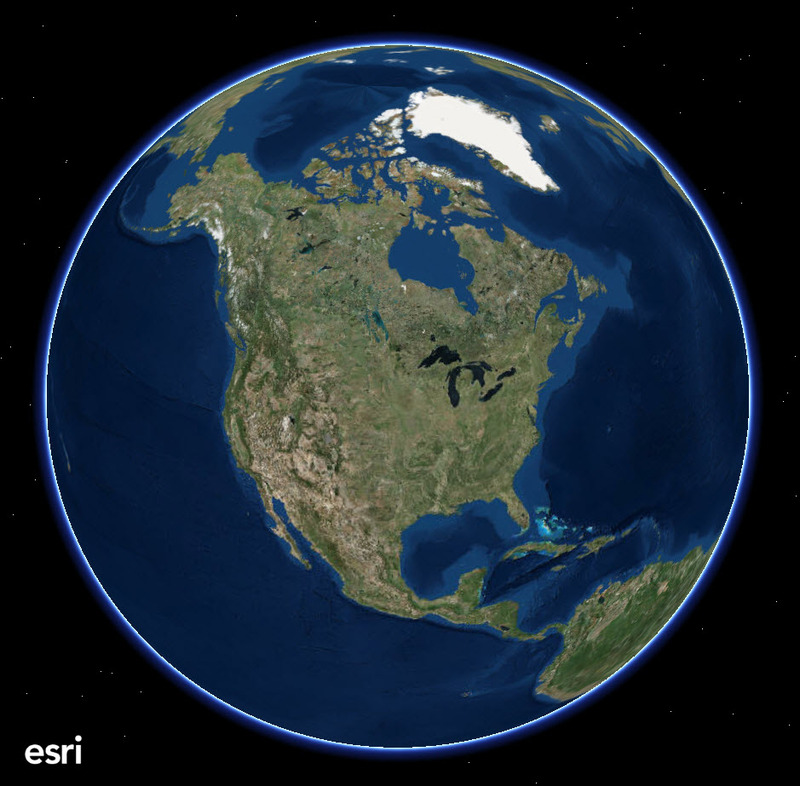 Download ArcGIS Earth for free today. Get started at esri.com/earth. This entry was posted on Wednesday, January 27th, 2016 at 7:13 am. You can follow any responses to this entry through the RSS 2.0 feed. You can leave a response, or trackback from your own site. Slight clarification on KML. A number of years ago Google submitted KML into the OGC standards process. KML 2.2 became an OGC standard in 2008. KML 2.3 was approved as an OGC standard in 2015. So, KML is NOT a Google format but a recognized international standard.